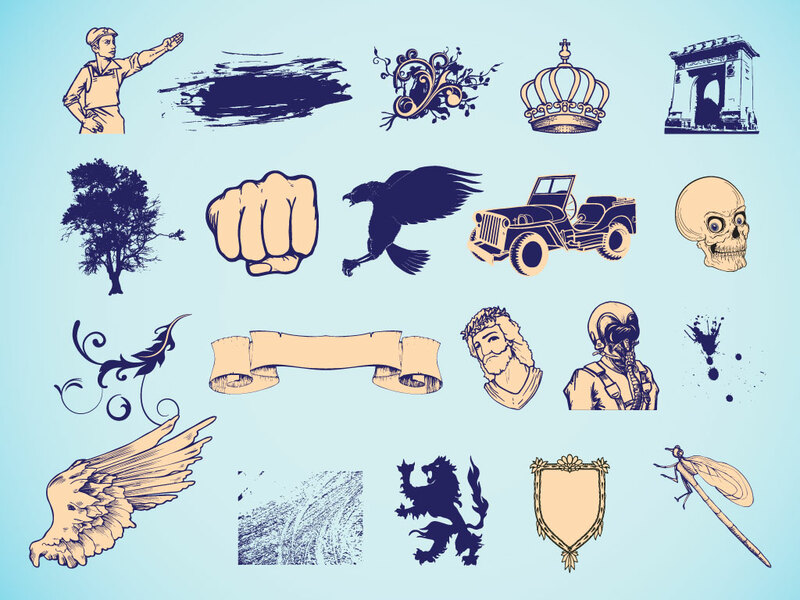 Cool hand drawn vectors in this great set of mixed freebies. Features: birds, airplanes, decoration elements, spade, logo clip art, visual ID images, hats, painting brushes, flowers, ornaments and scrolls. Download as AI and PDF for your designs. Tags: Airplanes, Birds, Dragonfly, Fist, Lion, Pilot, Skull, Wings.